"Our Business is about People"
This area is tiled flooring, has a vaulted ceiling and large double Velux windows and ample space for insert of staircase to first floor. 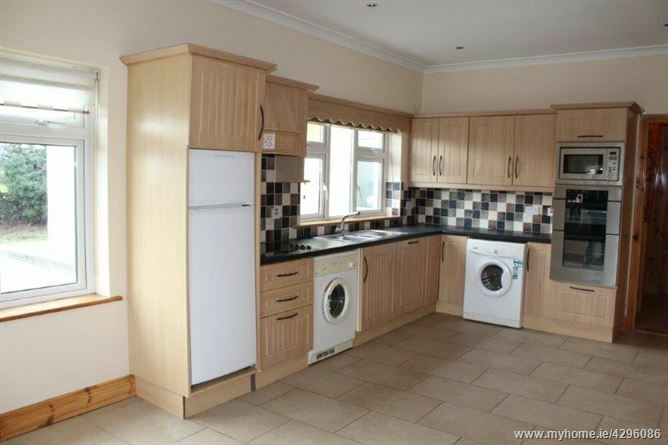 This area has fully fitted kitchen, there is tiled flooring. One eye level double oven and integrated Whirlpool microwave also plumbed for dishwasher, integrated gas hob, recess lighting and coving throughout. 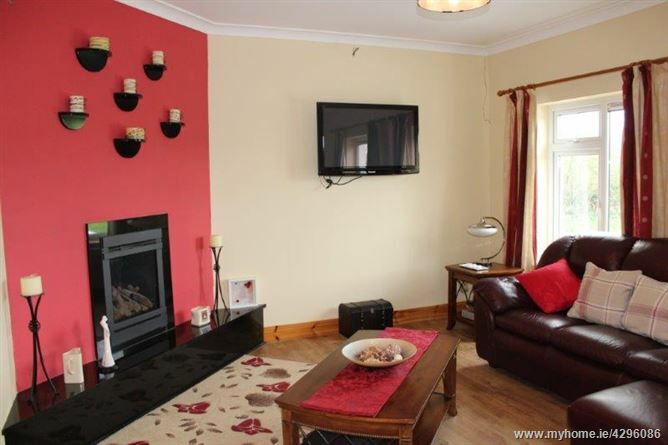 There is a solid fuel stove with a granite tiled hearth. 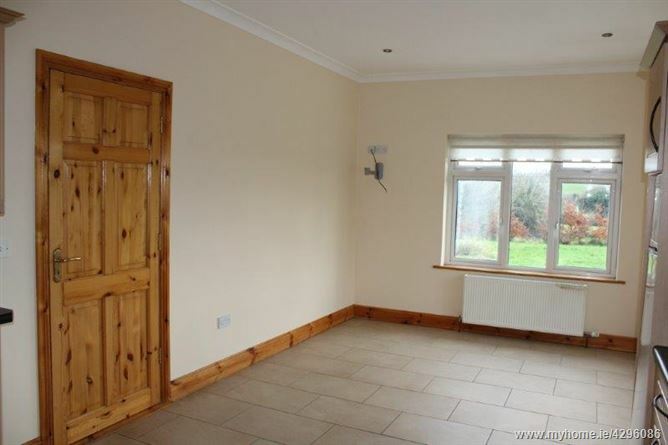 In the dining area there is a breakfast counter separating both areas with semi solid beech flooring, TV point, and coving throughout. 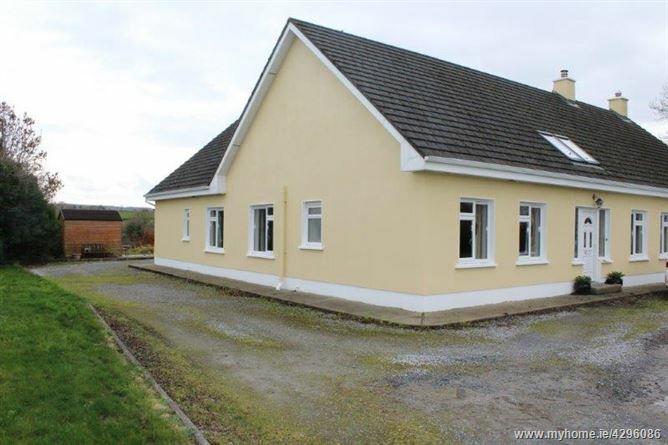 This area has tiled flooring, fitted kitchen units and is plumbed for a washing machine and dryer and has access to hot press. 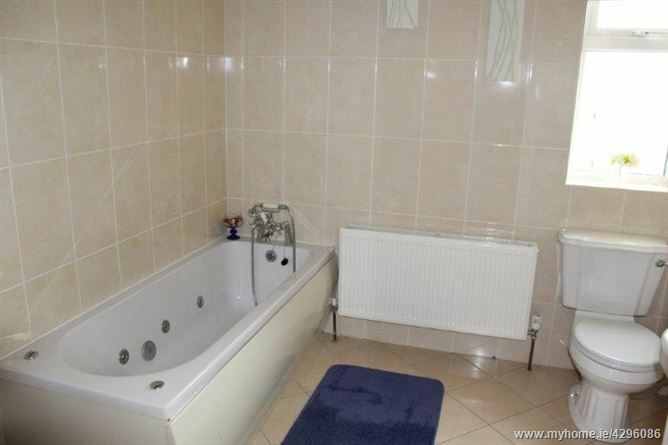 This area is tiled floor to ceiling and contains a Jacuzzi bath, w.c and w.h.b. 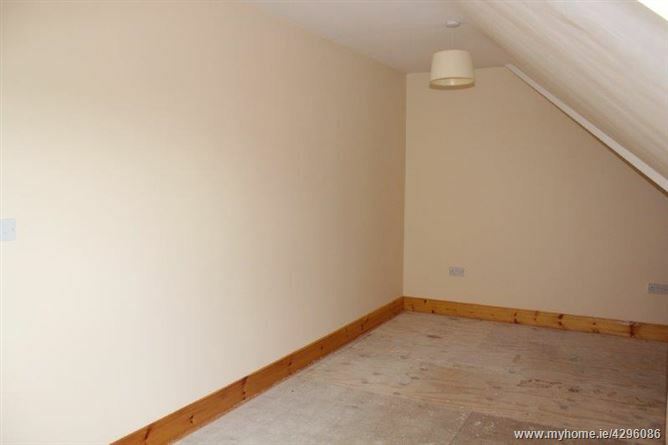 This room has carpet flooring, fitted wardrobes, TV + Phone points, feature light fitting and is located to the front of the property. 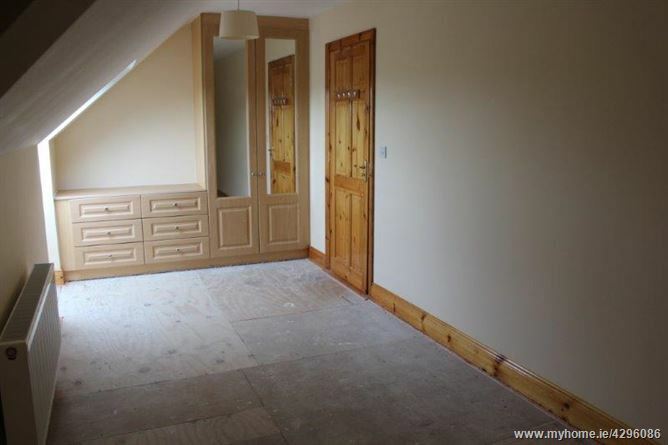 This area has tiled flooring. 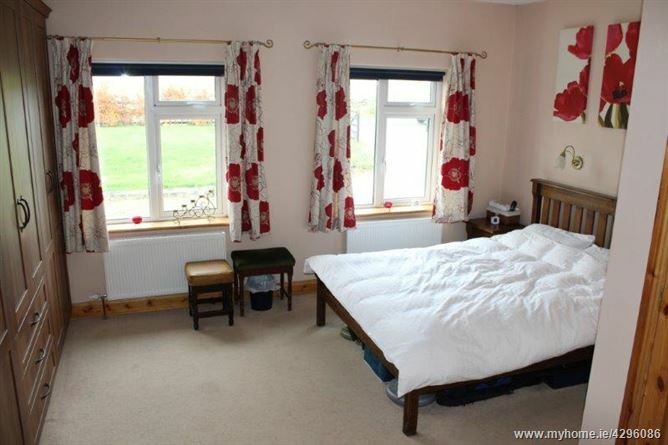 This room has carpeted flooring, TV and phone points and has windows facing North West of the property. 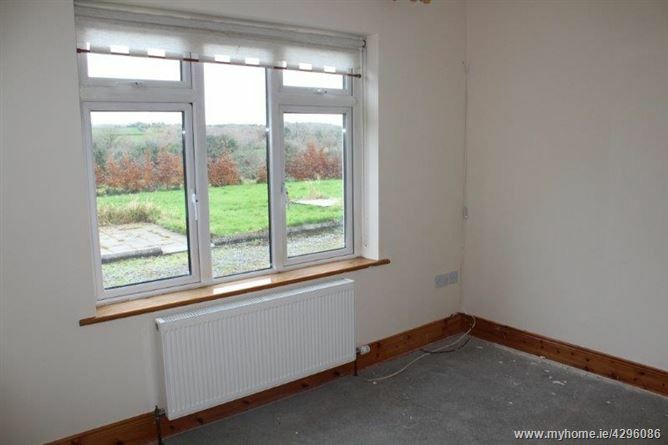 This room has carpet flooring and has north east facing windows. 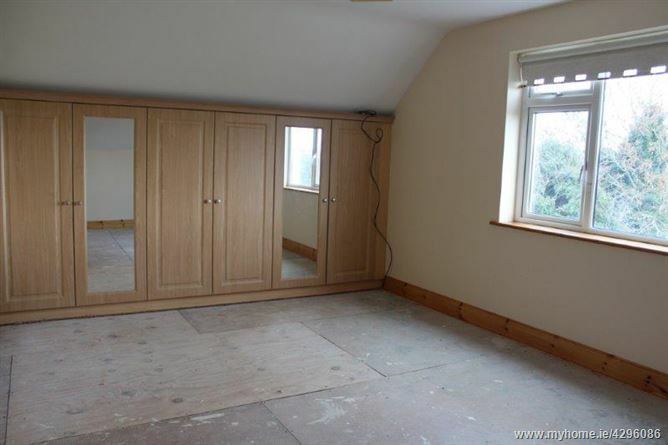 This room has ply flooring. 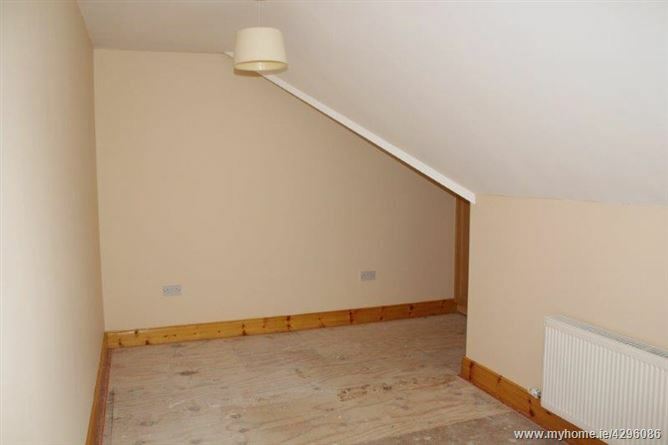 This area has coving throughout and feature light fitting. 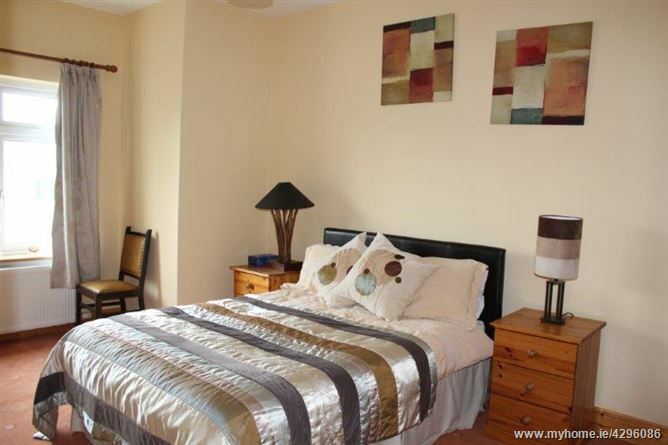 This area contains w.c, w.h.b, has tiled flooring and vanity unit with a featured wall mirror. 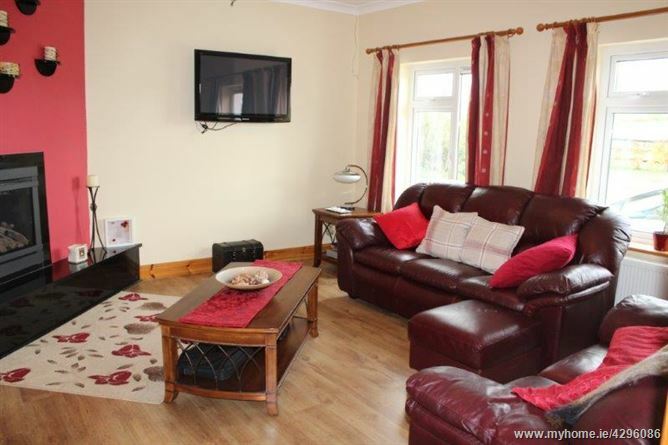 This room has a fully fitted kitchen unit with a double oven and an integrated microwave. It is plumbed for washing machine and dryer and has recess lighting, coving throughout and an electric hob. 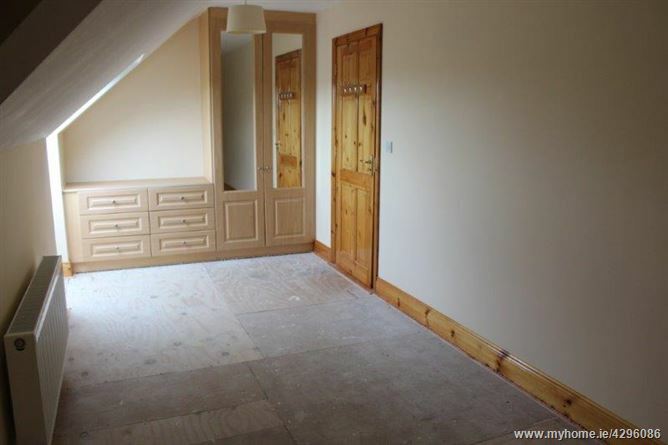 This area is incorporating the staircase, tiled flooring and allows access to hot press. 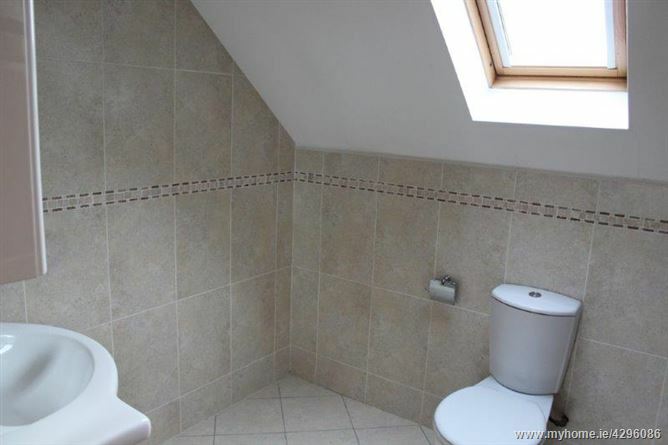 This area contains w.c, w.h.b, shower, tiled flooring and an integrated vanity unit with a featured wall mirror. 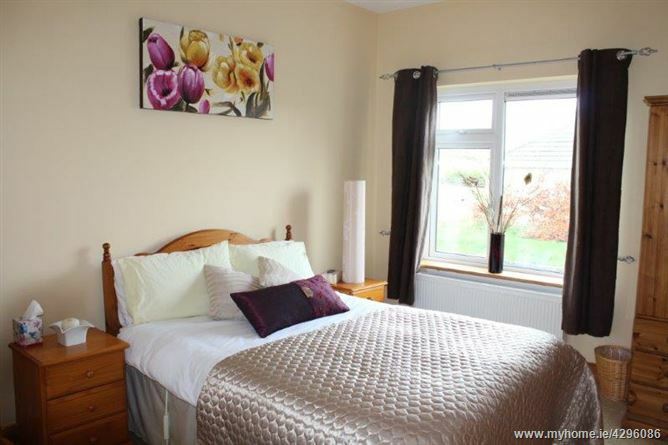 This room has a south east facing window with views of surrounding country side and Sliabh Aughty Mountains and has fitted wardrobe unit. 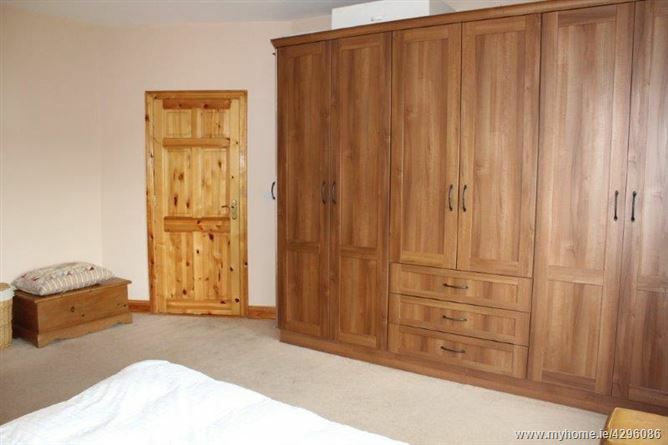 This room has a fitted dressing table unit, fitted wardrobe unit with a large Velux window. From Gort take the left onto the N66 towards Loughrea. Travel on this road for approximately 5.8km. Take the first left turn after Gillane’s Petrol Station and continue down this road and take the first right turn. 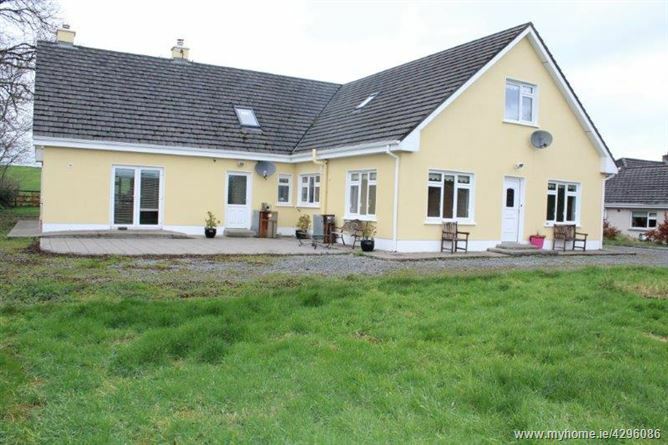 This property is the first property on the right. Look out for our Farrell Auctioneers Sign!! 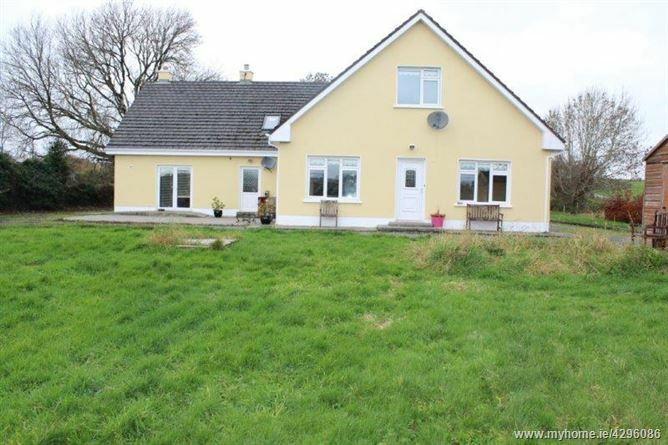 Viewing is strictly by appointment only to arrange a viewing please contact Farrell Auctioneers & Estate Agents LTD on 091 - 632688.